The 2012 $5 Star-Spangled Banner Commemorative Proof Gold Coin was released by the United States Mint on Monday, March 5, 2012. These strikes were issued in commemoration of the bicentennial of the writing of the national anthem of the United States of America. Congress authorized the release of the Star-Spangled Banner Commemorative Coins with the passage of the Star-Spangled Banner Commemorative Coin Act (Public Law 111-232). 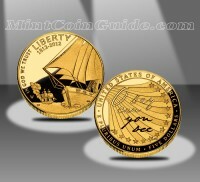 In addition to commemorate the writing of the Star-Spangled Banner, the coins also mark 200 years since the War of 1812. Surcharges of $35 per gold coin was directed to be collected by the US Mint with the proceeds to be forwarded to the Maryland War of 1812 Bicentennial Commission. The commission will use the funds to support bicentennial related activities, educational outreach, and preservation and improvement of the sites and structures related to the War of 1812. Each Star-Spangled Banner Gold Coin will be struck from 90% gold to the diameter of 0.850 inches with a weight of 8.359 grams. 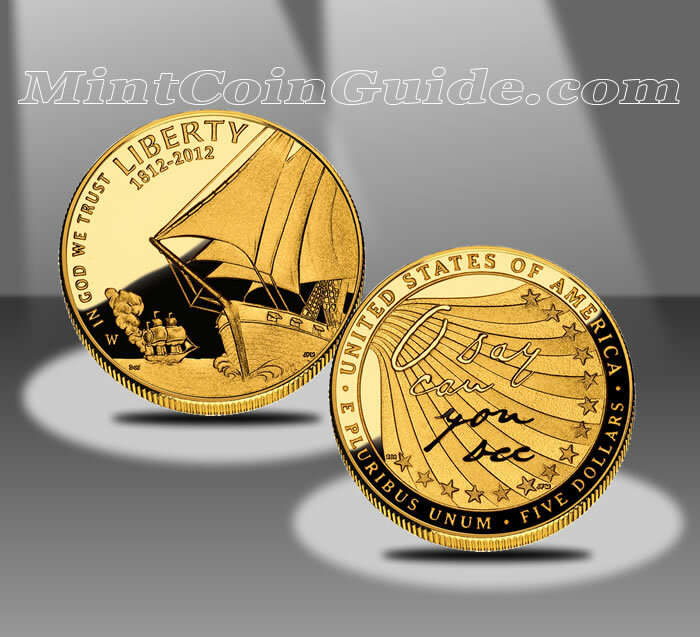 The US Mint released the Star-Spangled Banner Proof Gold Coin on March 5, 2012. The US Mint initially charged $529.30 for the proof strikes which reflected a $5 introductory price discount. As a gold numismatic product of the Mint, price adjustments could be made weekly on the release as the market fluctuated. The US Mint struck the proof coins at its facility in West Point. the Battle for Baltimore that formed the basis for the Star-Spangled Banner."